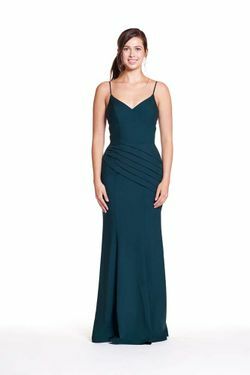 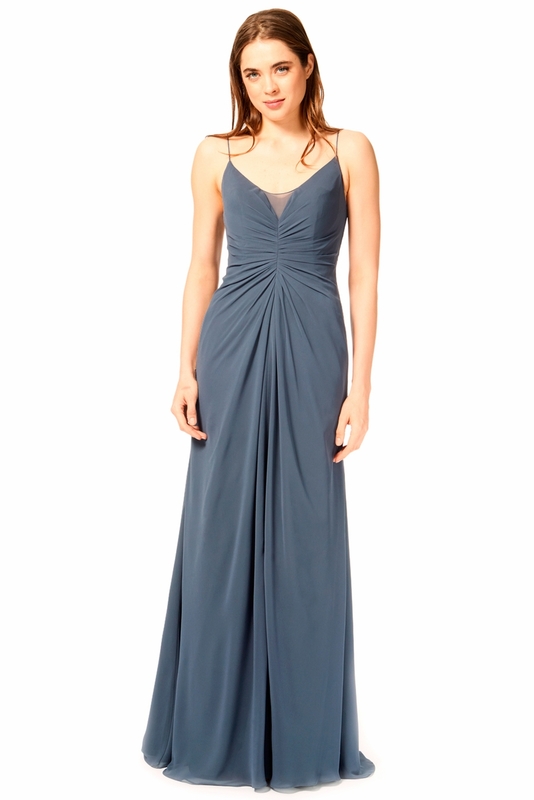 Bary Jay bridesmaid dress style 1864 - Spaghetti Strap bodice with sheer panel and soft pleating through skirt. Slim fit A-Line silhouette with zipper at center back. 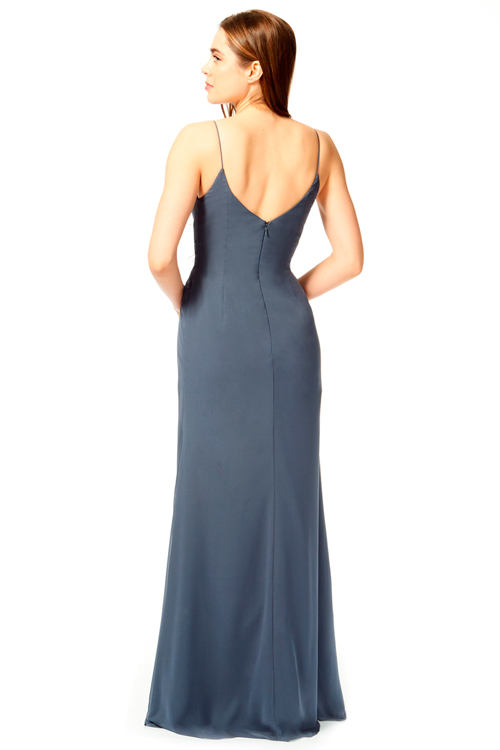 Available in short length.